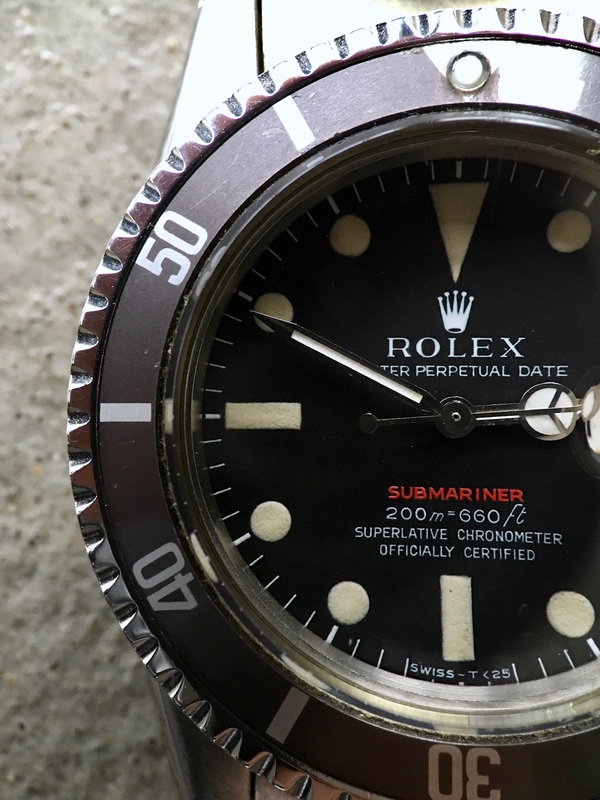 Dial: perfect MK2 dial (6% of ref. 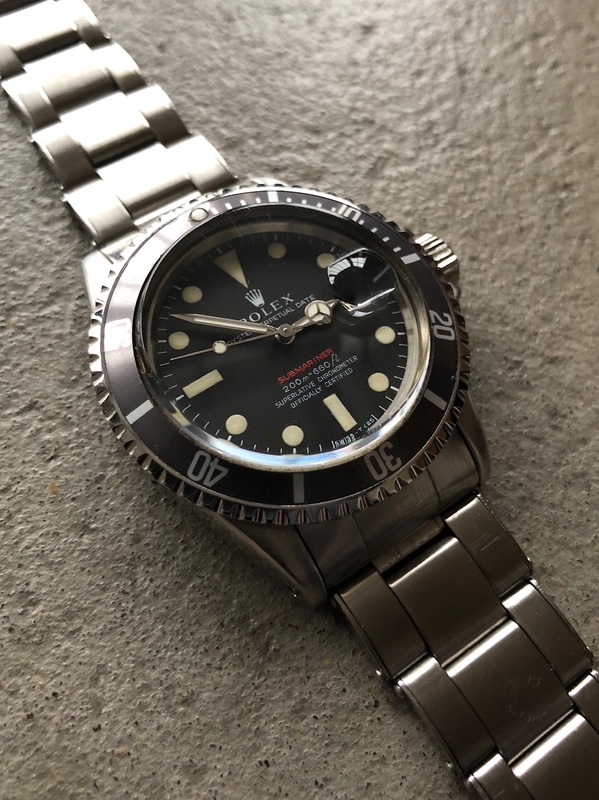 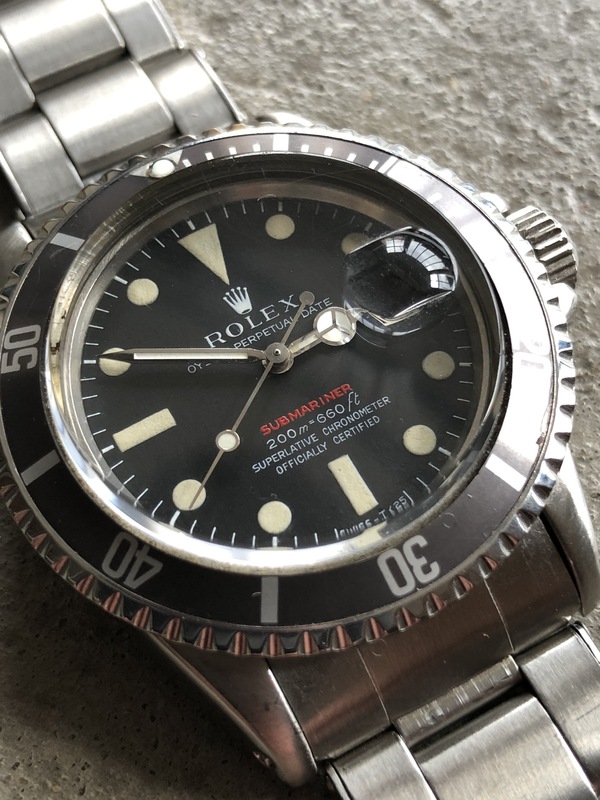 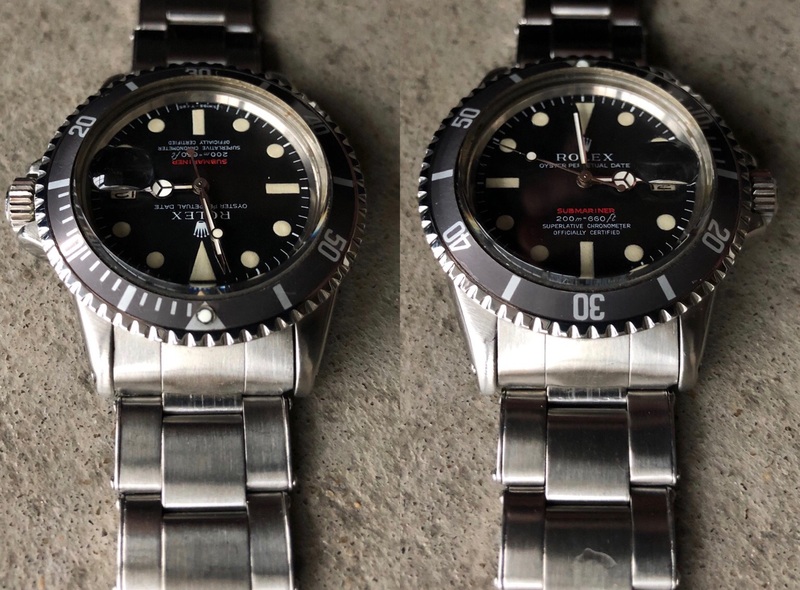 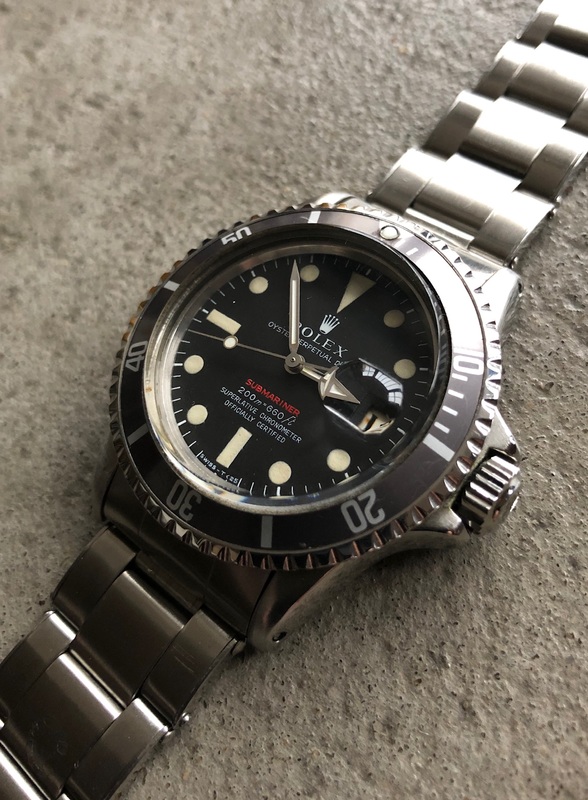 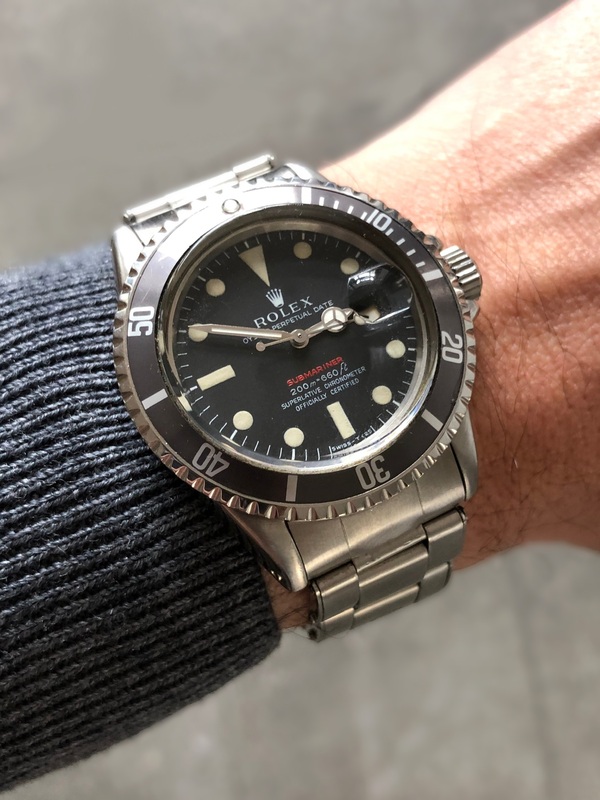 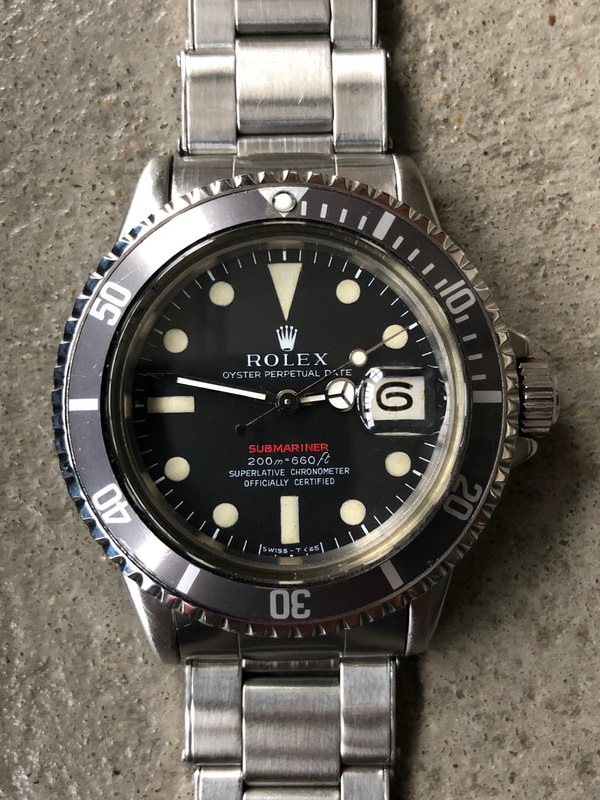 1680 production) with splendid faded grey bezel giving the watch a unique ghost look. 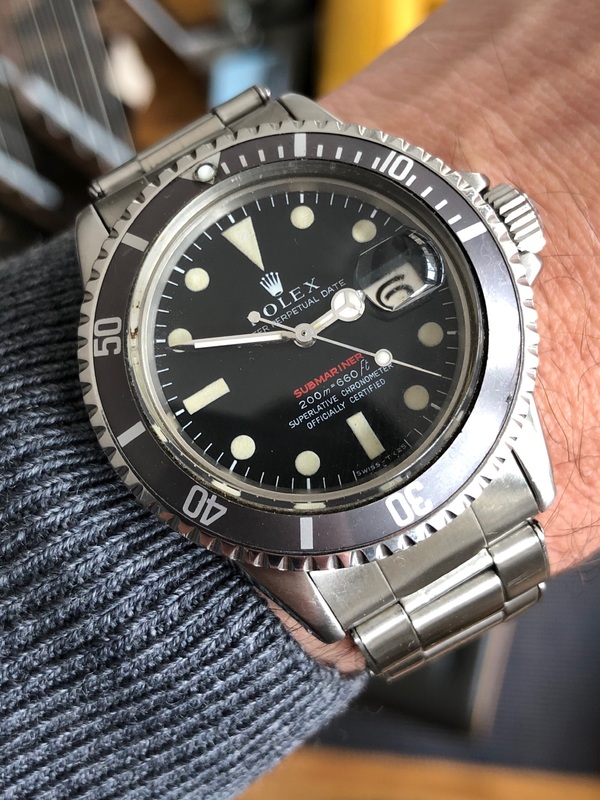 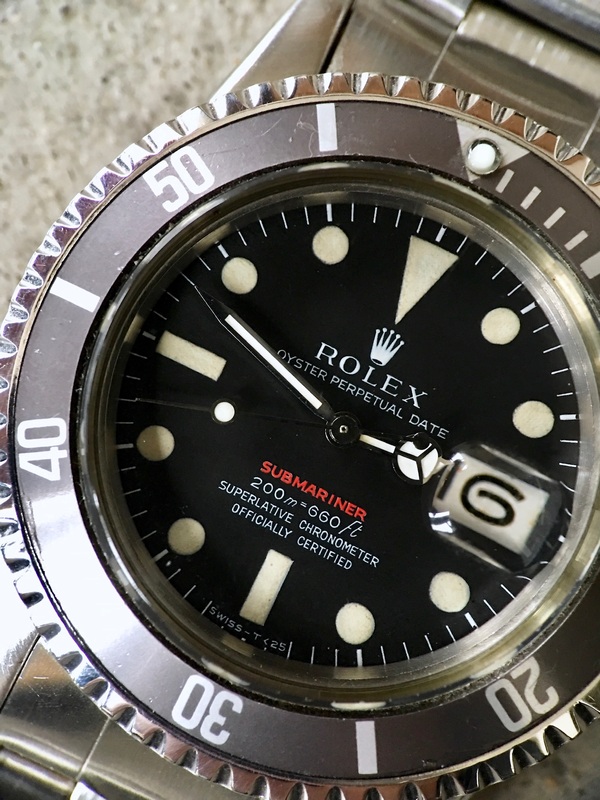 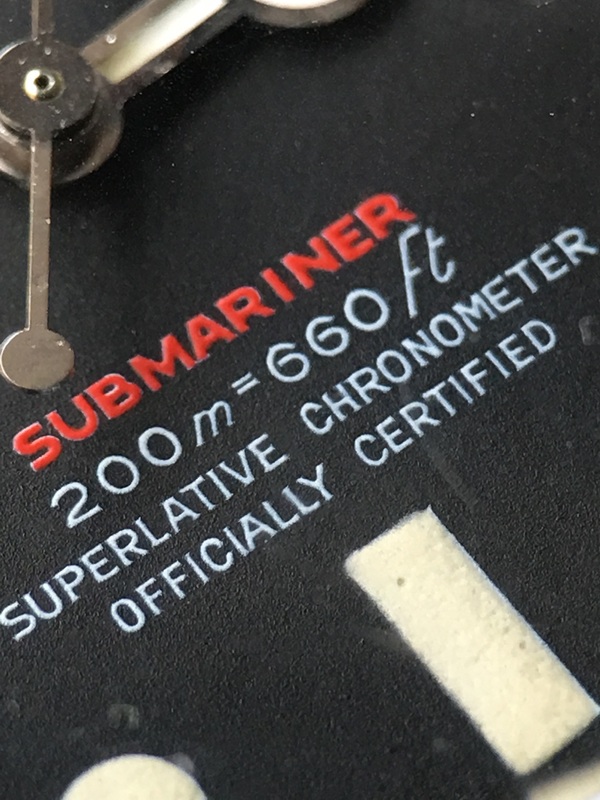 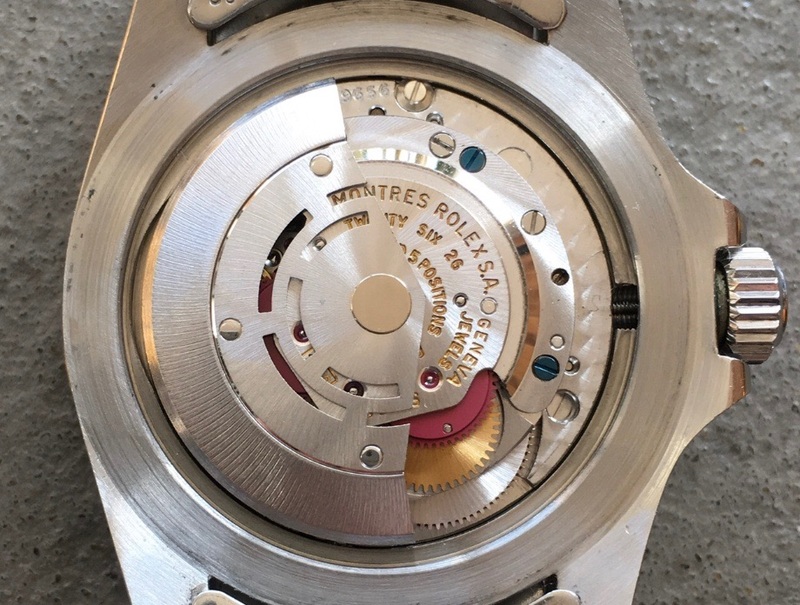 Date window, plexi crystal with cyclop, « Submariner » in red over white writing on the dial with short « f » of feet which is typical of the MK2 dial. 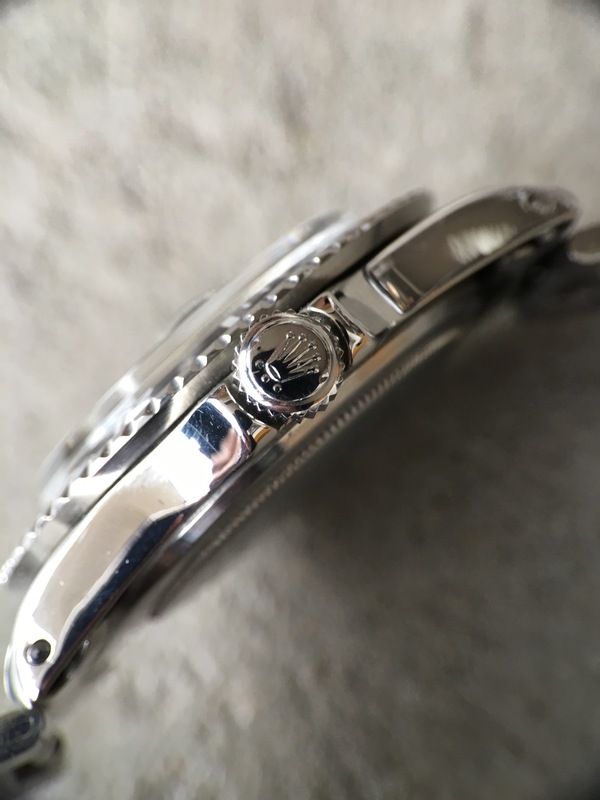 Vanilla index. 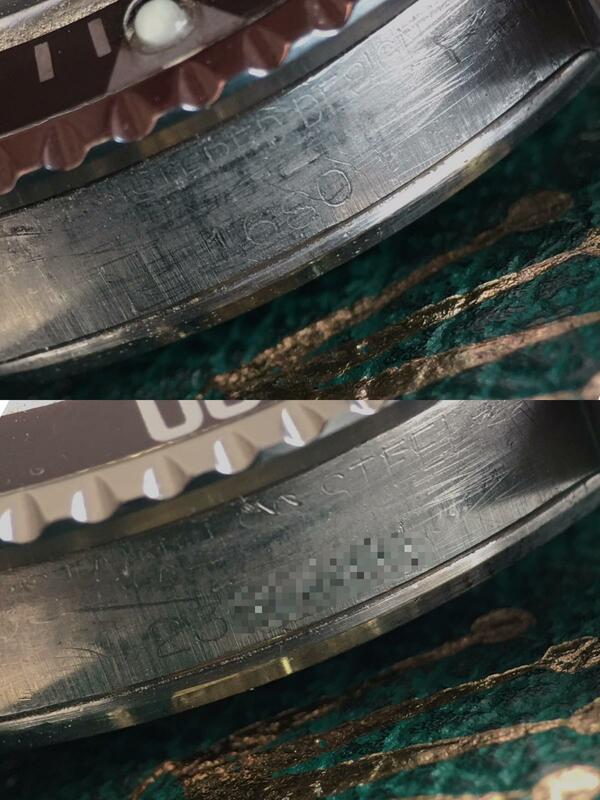 Hands might have been replaced a while back ago. 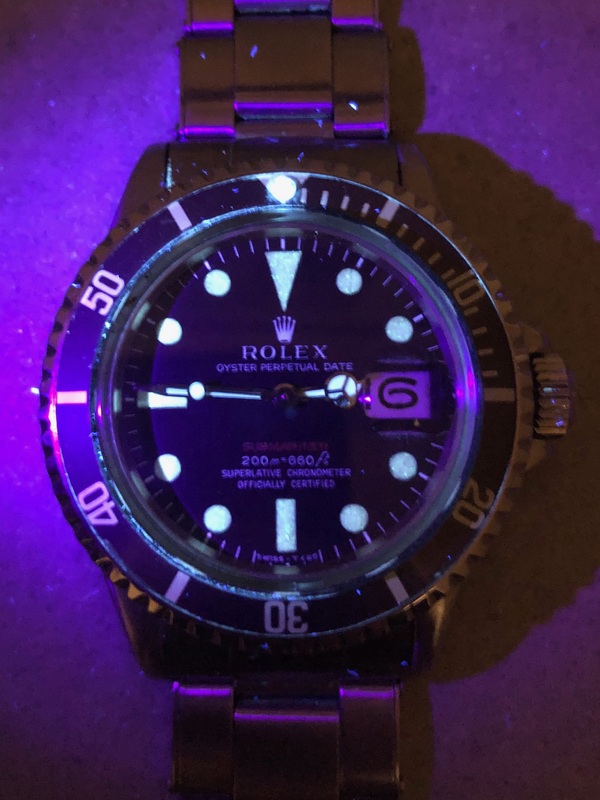 The luminous material is weakish but still there under UV test. 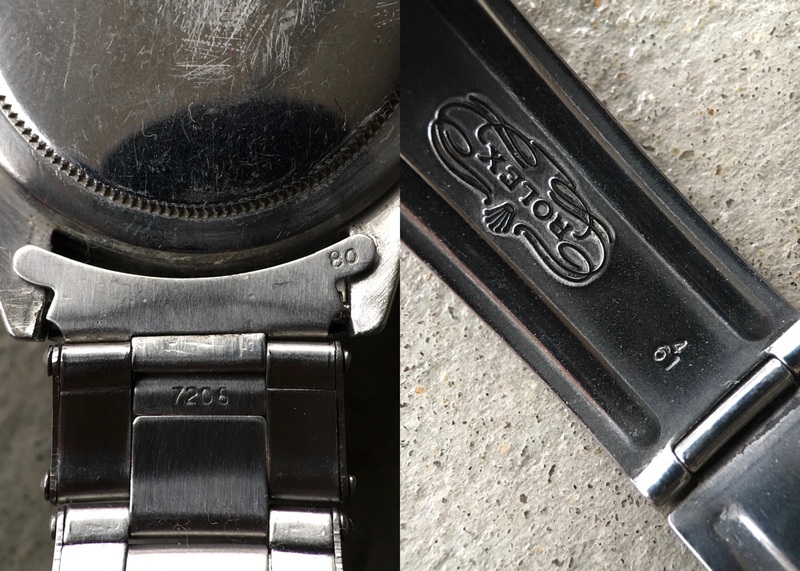 Case: it shows some signs of polish during the history of the watch but it is nicely retaining initial proportions. 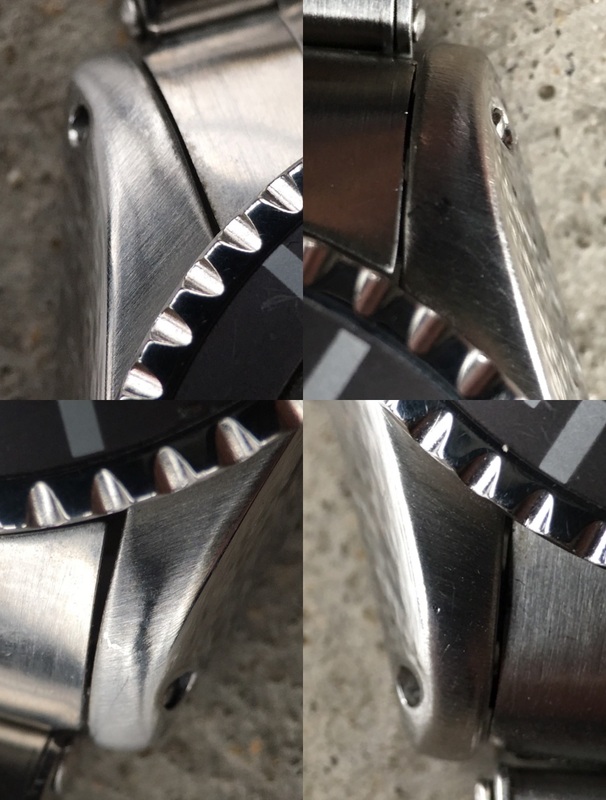 Bracelet: beautiful riveted oyster bracelet 7206 with 80 end links. 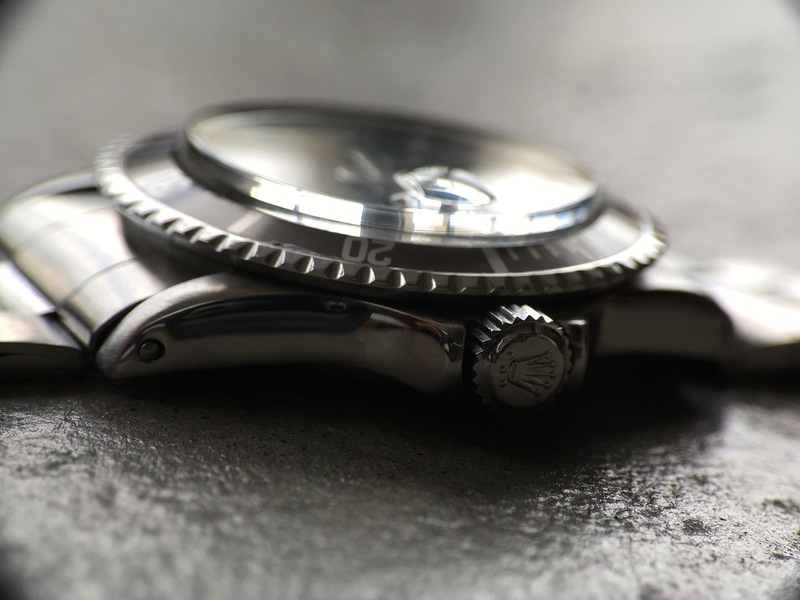 Clasp 4-61.